This article tells you how to send the report if you are experiencing one of them now. If your issue belongs to the first 3 cases, please read the article troubleshooting hung up the issue during the scan to see if you can have the issue solved by yourself first. However, you need to capture the Dump file of the software in the case that the methods do not work. This is an easy process which can be done within 3 steps. 1. 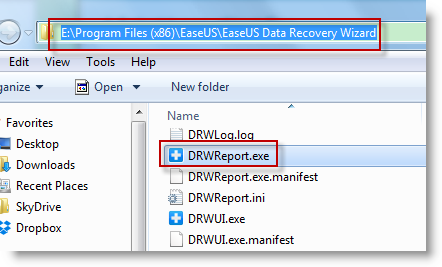 Get into the installation folder and run the 'DRWReport.exe'. 2. Press 'Click Here' to check the file first. Usually, the log and dump files will be present for all cases, it contains the records of all operations our product has done and maybe the clues of any product use issue. 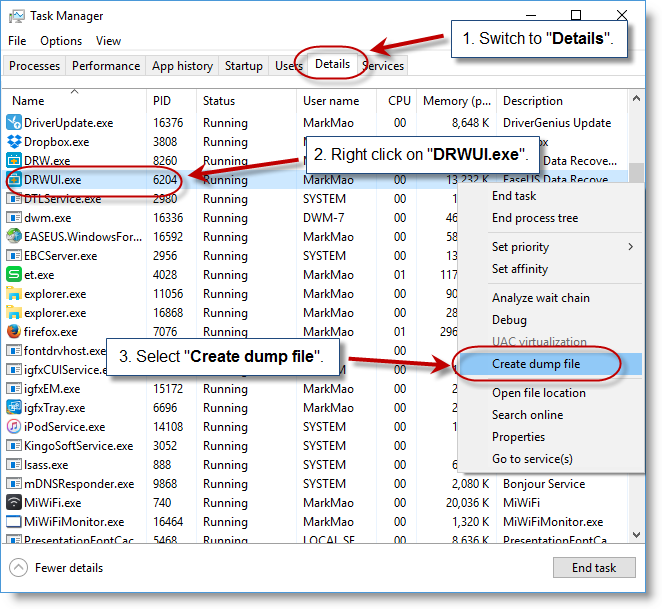 For crash issues, another dump file should appear in the report package, this file includes necessary info for analyzing a crash error. 3. 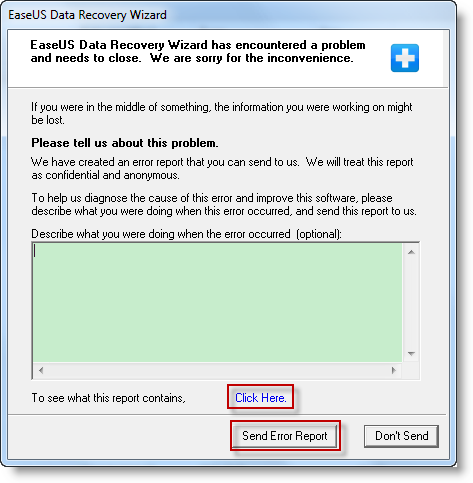 Click Send Error Report button to deliver the report to support team with your email client. Or you can manually send us the 2 required files by attaching them into an email if your email client doesn’t work. 1. Do not close the program when it crashed or hung up, then press Ctrl + Alt + Delete at the same time to open 'Task Manager'. 2. 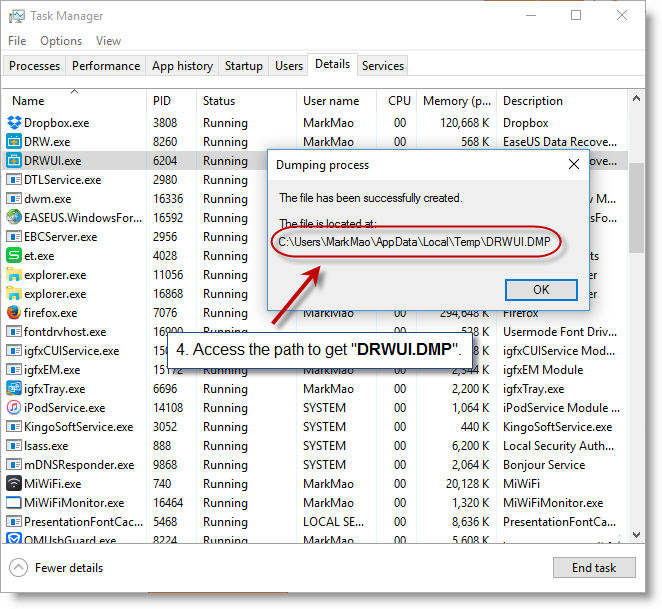 Find 'DRWUI.exe' in the 'Processes', then right click on it to Create dump file. 3. Find the .DMP file and send it to us. EaseUS Technical Support Team will send you a reply in no more than 24 hours once they get the report from you.